Reflecting On It, artist Alison Johnson original painting. 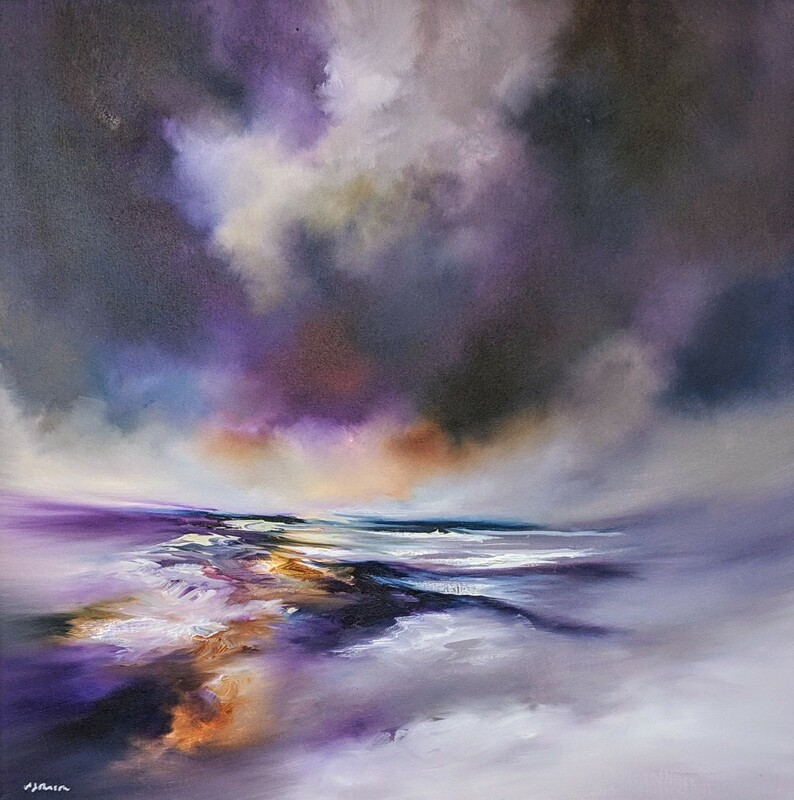 A breathtaking contemporary oil painting from the internationally collected Alison Johnson. 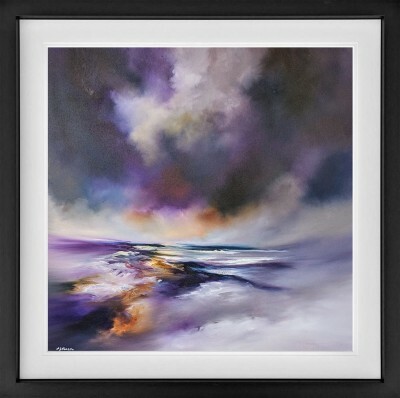 The bold purple of this abstract seascape would complement any interior. Image Size 29" x 29"